The Cromarty Arts Trust, has created a new award in memory of their former Arts Development Manager, Caroline Hewat, who sadly passed away in December 2015. Caroline, herself a well-respected artist, worked tirelessly to promote arts and culture in Cromarty, the Black Isle and far beyond and the Trust Chair, John Nightingale, and staff were eager to create a lasting legacy in her name. 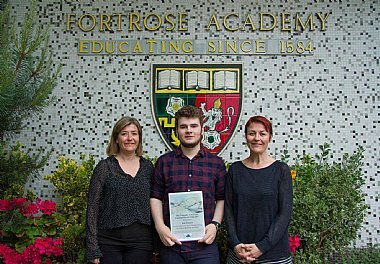 The ‘Cromarty Arts Trust Caroline Hewat Prize’ was on offer to “a student who has shown commitment, passion and a natural interest and flair for art and design throughout their senior studies at Fortrose Academy. They should be competent and independent individuals, willing and enthusiastic to be heading out in to the next stage of their studies/training/lives.” The prize itself is a two week paid internship with the Cromarty Arts Trust, managing a project from inception to fruition, allowing the recipient a practical, ‘behind the scenes’ first-hand experience of organization, admin, marketing in an arts environment. 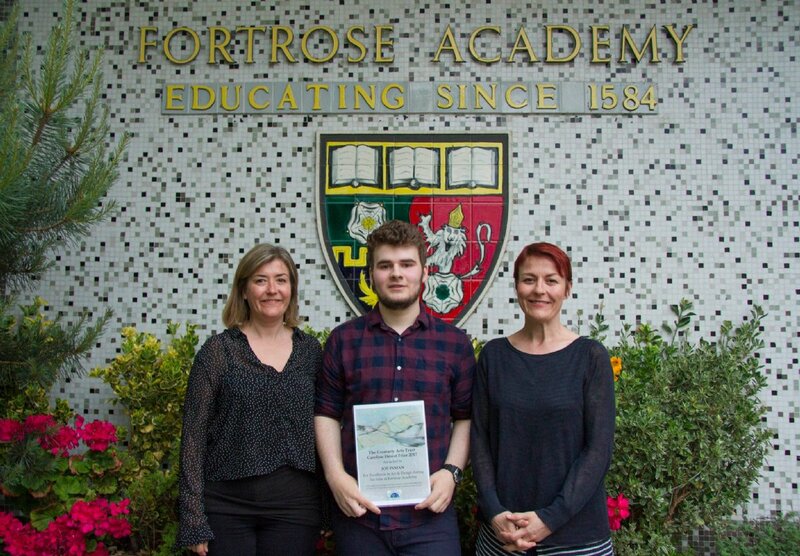 The second ever Cromarty Arts Trust Caroline Hewat Prize was awarded to 17-year old Freya Povlsen following unanimous recognition from her teachers for her talent, passion and dedication to art throughout her time at Fortrose Academy. Freya is taking a year out to work and take stock before hopefully pursuing a course in art & design from 2019 onwards. She is delighted to have won the prize and very much looking forward to her internship with the Trust, starting early August. 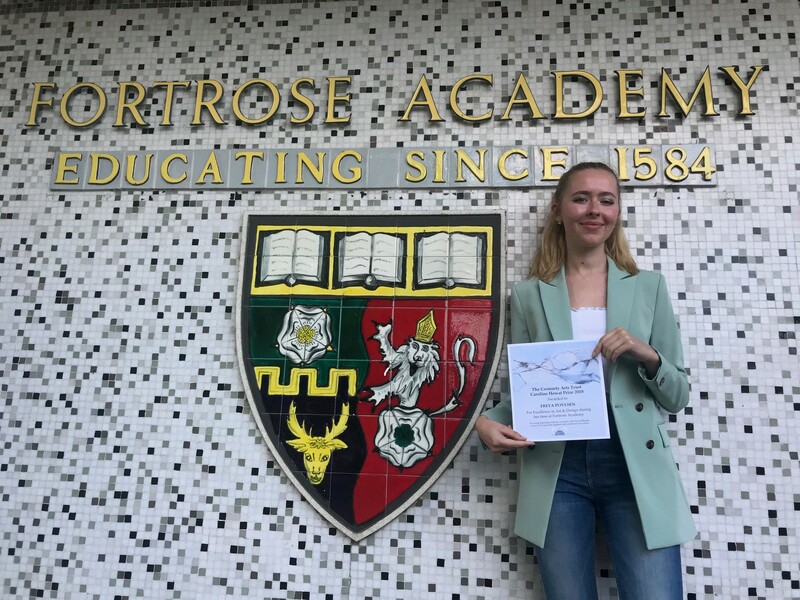 Congratulations Freya!